This study is not affiliated with PCOS Challenge, Inc. The announcement below is being provided for informational purposes only. The Penn PCOS Center is conducting a clinical trial to compare the effects of medications on metabolic risk factors such as weight, blood pressure, glucose, and cholesterol levels in overweight/obese women with Polycystic Ovary Syndrome (PCOS) over a six-month period. Metabolic Syndrome is the name for a group of risk factors that raises your risk for heart disease and other health problems, such as diabetes and stroke. OCP improve menstrual cycles and decrease male hormone levels. Metformin improves insulin sensitivity and some metabolic factors. Currently, there are no clear recommendations for the best and most comprehensive medical management of overweight/obese women with PCOS. The study hopes to uncover whether OCP and Metformin together affect the prevalence of Metabolic syndrome, thereby altering the risk profile for the development of diabetesand cardiovascular disease in women with PCOS. 3) Birth Control Pills + Metformin. Your participation in this study will consist of a screening visit, followed by 5 study visits. Women taking hormonal contraception or Metformin are allowed to participate after the medication is discontinued for 1 month. Bariatric surgery within the last 12 months. This study is not affiliated with PCOS Challenge, Inc. PCOS Challenge, Inc. does not recommend or endorse any specific studies, tests, physicians, products, procedures, opinions, or other information from third parties that may be mentioned on the PCOS Challenge websites. Any such mention is for information purposes only. Any third party services, products and websites, including those offered by affiliates, sponsors and advertisers, which may be accessed through the PCOS Challenge websites are the sole responsibility of the third party who is offering the service, product or posting the website. 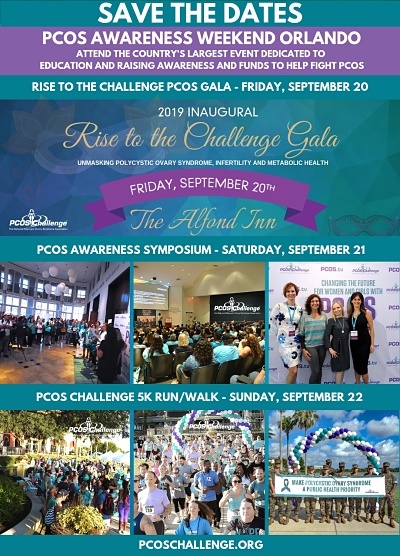 PCOS Challenge, Inc. makes no warranty as to the accuracy of any information on third party websites and accepts no liability for any claims, errors, and omissions or for any damage or injury to persons or property arising out of the use or operation of any services, products, materials, instructions, methods, ideas or procedures provided by third parties. Any offers, pricing, and/or promotions offered through the PCOS Challenge websites, affiliates, or any third party are subject change without notice at the sole discretion of the party making the offer. Read Full Disclaimer.